GlobalGrace Fellowship has a burden for Africa and its people. Africa is not only an extremely unique place; it is a land of extreme diversity. With over 600 million people living in more than 50 countries, there are hundreds of languages, cultures and people groups. Datooga people live in a very remote area of Tanzania, Africa. As a people, they blend in with their environment, their dress being the color of the reddish brown soil. Only on closer inspection will they appear colorful with their patched leather dresses, bead work, and brass bracelets and necklaces. A prominent decoration is tattooing of circular patterns around the eyes. They are part of the broad Nilotic migration from the Sudan along the Nile River centuries ago. Dolfi and Gilagwenda ‘Gil’ Maunda are serving among the Datooga people with a focus on evangelism, discipleship, church planting, and development. Their impact is seen by teaching adult literacy so the people can read God's Word. They are helping the government to implement school for the children. Hudson and Kristina Shires are from Nebraska and are serving in partnership with GGF and a production ministry that works to bring the gospel to the lost through the power of media and the creative arts. Leveraging the web, satellite television, and relationships, God is moving mightily to bring the saving news of His love to those who would otherwise have no way to hear the Gospel. Whether it be parenting their eight children, leading Bible studies, participating in music and media ministries, or simply getting to know the people around them, the Shires family believes that they have been called by God to be witnesses and encouragers to the lost and to the global community of believers. God gave James and Britney a burden for the lost in East Africa many years ago as James served short term in Kenya every summer. Over the course of several years, God made it clear that Kenya was the place to which He was calling their family. As they served in their local church through leadership, short term missions, refugee and international ministry, and children’s ministry, they prayed for clarity and direction from the Lord.During that time God grew their faith and used many situations and ministry opportunities to prepare them to serve Him in Kenya. God opened and closed several doors in incredible ways to bring them to GlobalGrace Fellowship and Hope Anew Ministries in Nairobi, Kenya. They will partner with the Kamau family to bring the gospel and the truth of God’s Word to the younger generation through the Hope Anew children’s center in Makuru Kayaba slum. How do we bring new vitality and witness where the church is poor, marginalized and persecuted? This is the challenge that Richard and Patricia have taken on with others through their work with training ministries around the world, such as Open Doors in Africa, and Increase Association in Malaysia. The need to renew the church to meet an array of new challenges has led Richard and Patricia to provide leadership in forming a multi-agency initiative called WITH. This multi-agency team undertakes projects to renew training programs so that training is more likely to produce transformation in the lives of pastors and leaders and to equip them to be effective agents of change in their churches and communities. 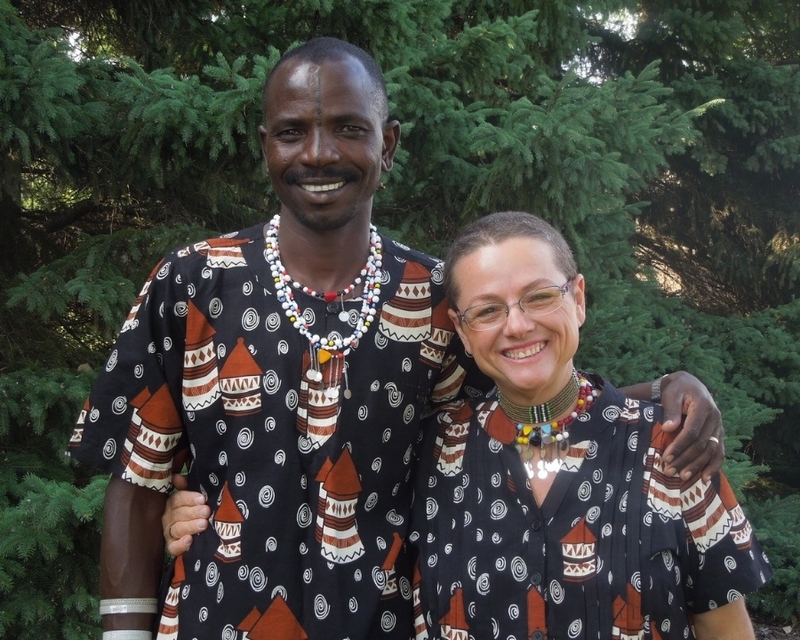 Richard and Patricia are based in southern California but spend much of their time in Africa and beyond. Scott and Kathi and their 4 children have been involved in short and long-term missions serving orphaned and at-risk children for many years in East Africa. For all of these children, spiritual discipleship and educational opportunity is paramount in helping to rescue them from abject poverty and hopelessness. Their good friends, Gil and Dolfi Maunda, have been serving the Datooga people in Tanzania for many years digging wells, planting churches and building primary schools. Secondary school opportunities are very limited due to spiritual/financial/cultural barriers. The Derse’s are honored and excited to have been asked to partner with Gil and Dolfi to start a secondary school sponsorship program to help address these needs of God’s children in this remote area of Tanzania. Yamawega, which literally means “changed life” in the Datooga language, is the name of this secondary school scholarship program that pairs eligible students with prayerfully committed sponsor families for the 4 years of their secondary school education. This opportunity is a great testimony to the goodness of God in these childrens’ lives. It is thrilling to see these students having the luxury to dream about what God’s plans can hold for their futures. We pray that many of these kids will attend Bible school, become teachers and health professionals and then return to this region to plant and pastor new churches and serve in their respective areas of training as the work continues to spread the Gospel in this remote area of Africa!